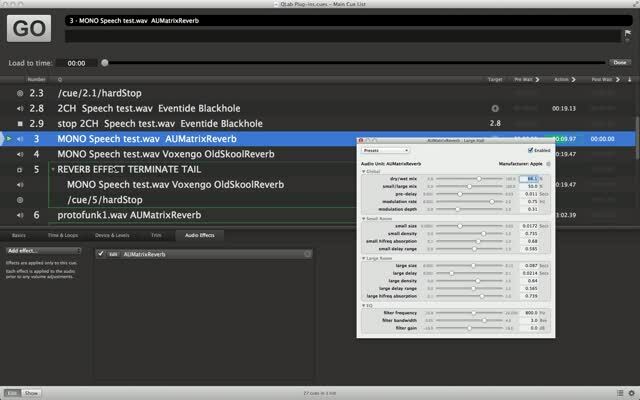 EXAMPLE 4: Apple AUMatrixReverb with a MONO Audio Cue. AUMatrixReverb is clearly incompatible with Mono audio files. In this case, this manifests itself as a pass-through of the original audio. Other incompatible plug-ins may not pass any audio at all. If you are restricted to the standard AU plug-ins it is simple just to convert the mono file to stereo, in an audio editor.